Having this grey area helps expand the brain according to the site and helps the person since they have more room for “mental mapping” in our bodies. This sounds fascinating but I still would want more science behind yoga. When searching for the science behind yoga most of the websites were not very reliable sources that weren’t overly biased or trying to sell something. I hope there can be more studies done and science related evidence for yoga. 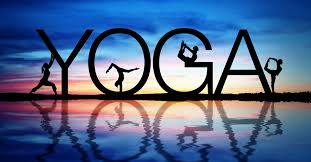 “Yoga: In Depth | NCCIH.” U.S National Library of Medicine. U.S. National Library of Medicine, n.d. Web. 18 Nov. 2016. This entry was posted in Uncategorized on November 18, 2016 by lkr5215. I loved your topic! However I think you poorly executed it. While reading your article I found it very intriguing that certain yoga poses may reduce low back pain considering I have issues with pain myself. I think you should have taken a more narrow approach and looked at yogas effects on mental health for example instead of just science done on yoga. While doing some broad research, I came across this cool article about the benefits of yoga and I think you’d find it interesting. Sorry I forget to include the link. I think that your post topic is interesting, however, I think that it would have been better to summarize or paraphrase some of the quotes you included in the post. In addition, I think that it it would really be helpful if you included some stories of your friends who practice yoga on how yoga is useful to the human body, as it could also help prove the alternative hypothesis, as Andrew said in class, Anecdotes are powerful. I also think that you should include more detail on the studies you included, such as the things measured, how they were done, and whether or not these studies are experimental so that we know how good the studies are. In addition, I agree with you that the claim of the usefulness of yoga is something that science needs to study more and do more experiments or observations, as many claim that yoga is one of the best ways to relax. However, as you mentioned in the post, it seems that not a lot science has been discovered to be involved in yoga. I myself was thinking of taking a yoga class at Penn State, but because I was not really convinced about it’s usefulness to my body, I changed my mind. However, Your post has made me think about taking the class again and has encouraged me to do further researcher into this topic. I had a little trouble understanding the purpose of the article because usually the blog has an introduction paragraph that makes it a little clearer than yours did; nonetheless, the article was reasonably interesting and kept my attention. I especially liked how you incorporated a quote to add emphasis to the information you were trying to convey; personally, I use quotes whenever I can for this very purpose! I love your idea for this post! I posted a blog about yoga and the science involved with it physically. You have good evidence to support your claim and the picture is very cute. Just one thing I would change is the quotes used in it. Summarize these articles in your own words, it makes it a lot easier to read if you do it that way. I would organize it a little more as well, add an introduction, conclusion etc. Other than that I think you have a good start to this post. There’s a lot on yoga and it’s benefits out there so you shouldn’t have a problem finding more information on it. This is long but it has some good points on the science of yoga. Check it out, It will benefit this post A LOT.